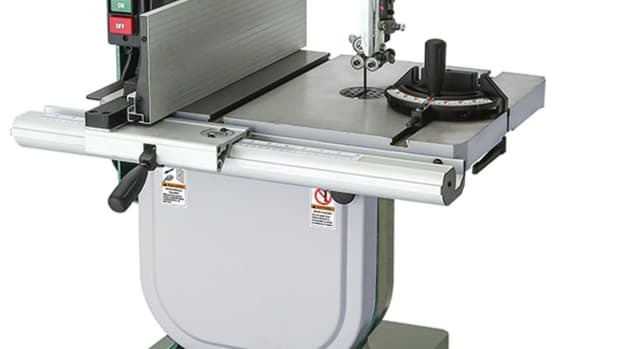 A limited edition 17” band saw, model G0513ANV, features a satin jet-black paint with orange accents, 2-hp motor, 16-1/4” throat capacity, 12-1/8” cutting height, and a 17” x 17” cast iron table. It sells for $995. 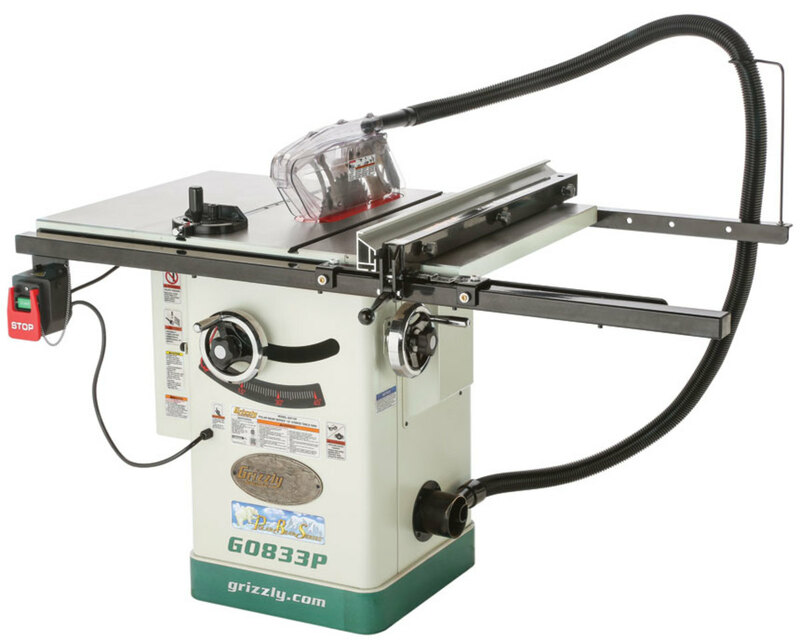 Grizzly’s new 10” hybrid table saw with riving knife, model G0833P, is part of the company’s Polar Bear Series and features a 2-hp motor. It sells for $1,095. “We took our G0715P, our previous version of this, and in that one the trunnions were mounted to the bottom of the table. With this one we’ve mounted the trunnions to the stand so it’s more like a lighter-duty cabinet saw than contractor saw,” says Ransom. 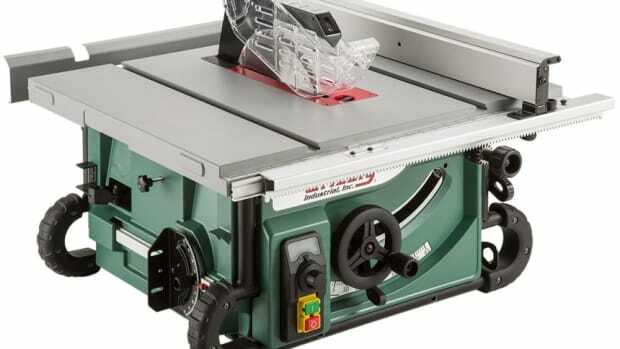 The saw offers a 40” x 27” cast iron table with extension wings and enhanced dust collection. “We’ve really upgraded dust collection with a built-in overhead dust collection system on the blade guard and underneath it’s got an encapsulated system around the blade. It’s greatly improved from a traditional cabinet saw where the dust just falls into it,” says Ransom. 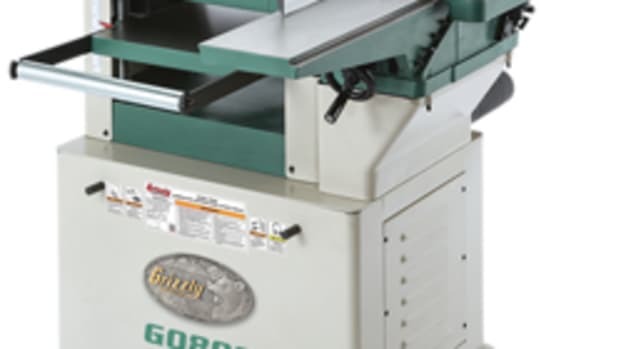 Grizzly’s new 16” x 24” variable-speed wood lathe, model GO838, features a 2-hp, 3-phase motor and uses a variable frequency drive to operate on single-phase, 220-volt power for turning hard woods at slow speeds. 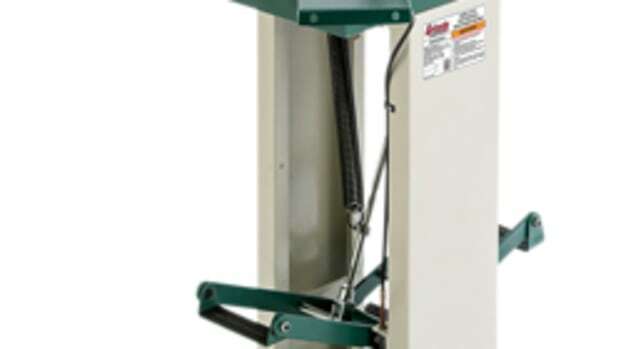 “This has the advantage of variable speed that has highly reliable and consistent torque levels at low speed. So, if you’re turning a bowl or something large, you need that torque, that power and consistency are there,” says Ransom. The lathe has a 16” swing over bed, 11-1/2” banjo, and 24” distance between centers. The headstock slides along the cast iron bed and can be locked in place on the tailstock side for outboard turning of much larger pieces. 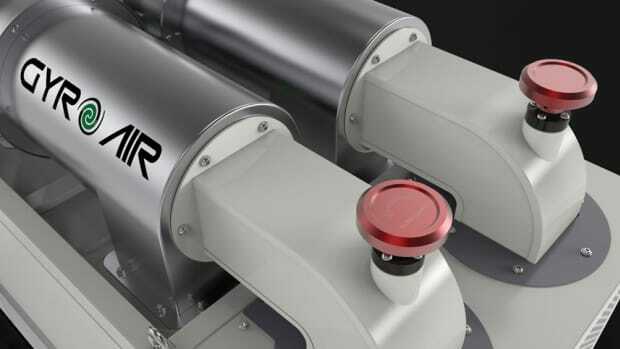 It also has a digital spindle speed display. The lathe sells for $1,395. A separate bed and tool post extension kit, model T28372, sells for $109.95. 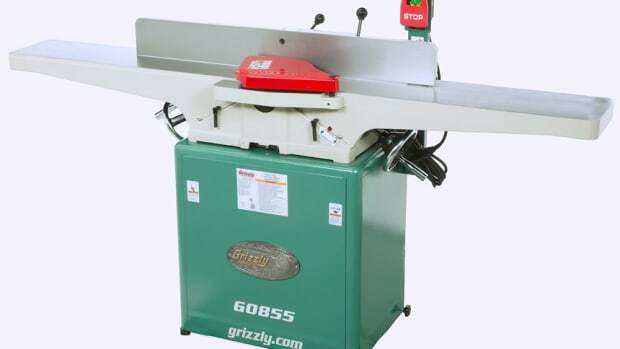 Grizzly Industrial introduces a 9” benchtop bandsaw with a laser guide, model GO803Z. 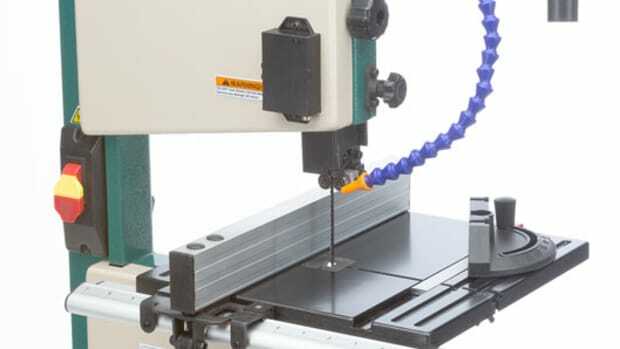 Grizzly Industrial introduces two new 8” x 72” jointers with built-in mobile bases. 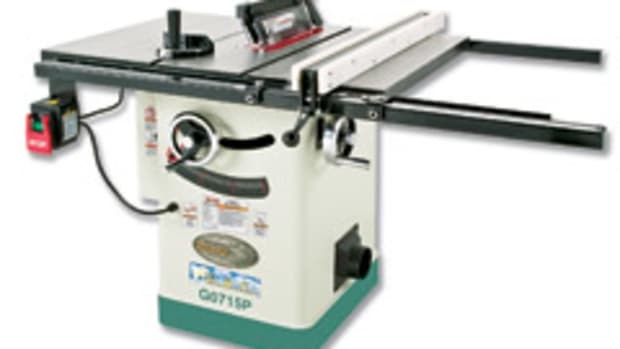 Harvey Industries is a manufacturer of high quality machinery that is sold in over a hundred countries, and now they’ve entered the US woodshop market.